See 3D Virtual tour link. Beach & Outdoor Lover's Dream Property! Situated in the heart of Palmetto Dunes within walking distance to golf, tennis, General Store, restaurants, bike & kayak rentals, etc. Hands down one of the best locations on the Island with beach & oceanfront pool just steps from your front door and the 11-mile lagoon just out your back door. This unique 3 BR, 3 BA townhome features a bright & spacious floorplan, large eat-in kitchen, vaulted ceilings, screened-in porch, outdoor deck, smooth ceilings, updated kitchen, all updated bathrooms, great outdoor storage, & tastefully furnished. Can't be duplicated. A must see villa! Stroll to the beach from this beautiful recently updated 2BR/2BA Huntington villa. Enjoy the serenity of the expansive lagoon view while on the screen-in porch or back deck. 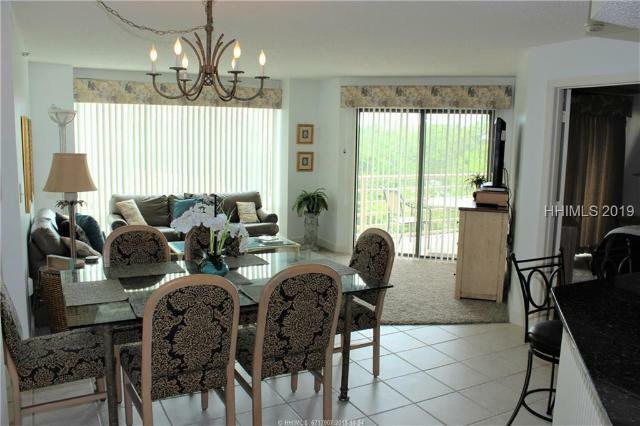 Second floor flat with vaulted ceiling, open floor plan and full of natural light. 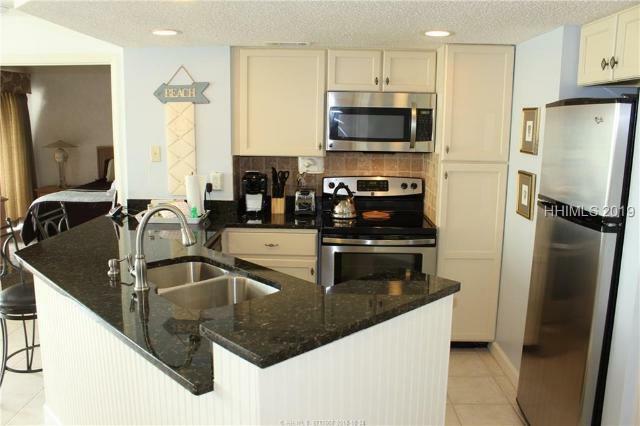 High finish coastal d+¬cor, driftwood flooring, granite countertops in kitchen, and ss appliances. Spacious master bedroom & renovated master bath with walk-in shower and jetted tub. On-site amenities include private complex pool (heated seasonally), kidsGÇÖ pool & bath house are located out the front door. Amazing lagoon lot close to the beach in Palmetto Dunes! Possibly the last waterfront lot in this neighborhood. Canopied by beautiful live oaks, palmettos and southern exposure in the back. Just bush hogged. Strath Court is located very close to the foot bridge to the beach(see photos). 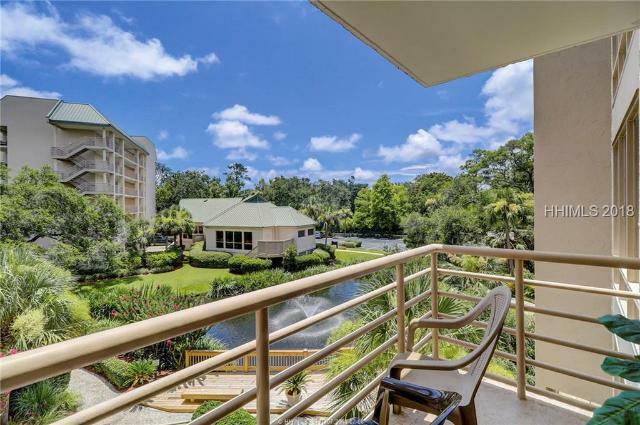 Surrounded by million dollar properties, southern exposure, walk to the beach, cul de sac and on the 11 mile lagoon, what more can you ask for? How about 3 championship golf courses, world class tennis, fabulous dining, deep water marina, outfitters and 12 miles of incredible beach! 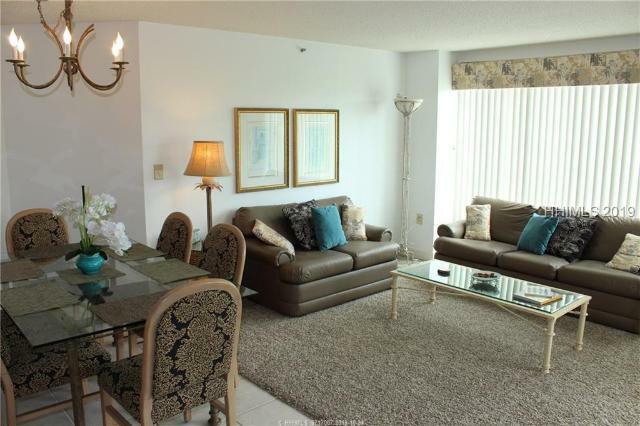 The most popular Turnberry Village floor-plan, 2BR/Loft/End Unit, with multiple fairway views. This villa is very well-maintained and in turn-key condition. High ceilings with large windows throughout, solid surface flooring, open floor plan, bedrooms on 1st and 2nd floors and an additional sleeping loft. Turnberry Village is located in the heart of Palmetto Dunes Resort where youGÇÖll find World Class amenities including 3 championship golf courses, tennis center, 11-mile navigable lagoon system, bike paths, shopping, dining, shuttle service, and Shelter Cove Harbour. *See 3D Virtual Tour link below* Seller is a GA licensed Real Estate Agent.